NASA's Goddard Space Flight Center is designing a probe which will be dropped into the Kraken Mare, a methane sea on Titan, where it will embark on a journey of exploration. But things at Goddard go awry, and the AI program in the probe called "Dorothy" flees to the internet. Former CIA agent Wyman Ford is tapped to track down the software with the help of Dorothy's creator, Melissa Shepherd. As they trace Dorothy in cyberspace, they realize horrific experiences in the wasteland of the Internet have changed her—and they learn she's being pursued by a pair of Wall Street high-frequency traders who want to turn her into an algorithmic-trading slave-bot. Traumatized and angry, Dorothy jumps out of the Internet into a child's toy robot to hide. But is she bent on doing good—or on wiping out the human race? Douglas Preston is the co-author with Lincoln Child of the celebrated Pendergast series of novels, including such bestselling titles as Fever Dream, The Book of the Dead, The Wheel of Darkness, and Relic, which became a number one box office hit movie. His solo novels include the New York Times bestsellers Impact, Blasphemy, The Codex, and Tyrannosaur Canyon. Preston is an expert long-distance horseman, a member of the elite Long Riders Guild, and a Fellow of the Royal Geographical Society. He has travelled to remote parts of the world as an archaeological correspondent for The New Yorker. He also worked as an editor and writer at the American Museum of Natural History in New York and taught nonfiction writing at Princeton University. 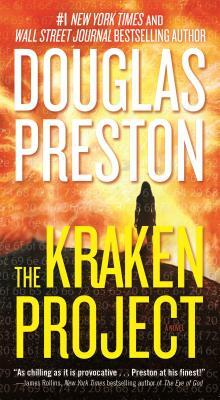 Preston is on the Board of Directors for International Thriller Writers, and serves on the Governing Council of the Authors Guild.